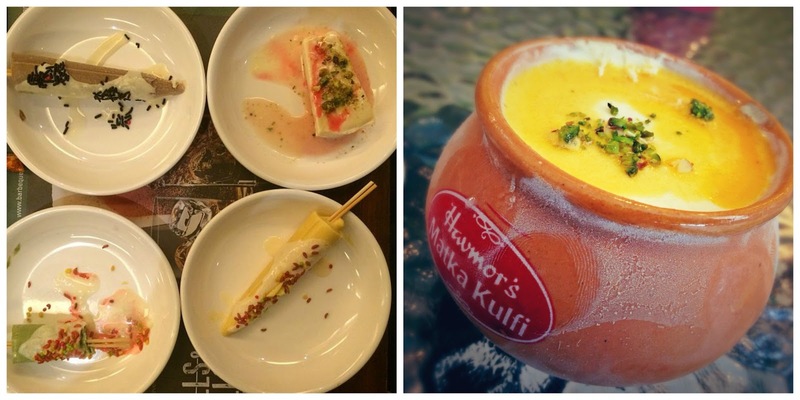 With the hot summer days upon us we have ventured into making a Kulfi Frozen Dairy Dessert. The Kulfi is described as an ice cream. 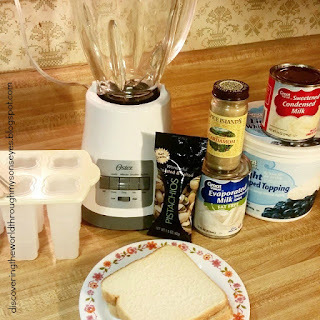 A delicious treat that is put in a mold with stick or in individual custard bowls (that look like little clay pots) and frozen. They are garnished with pistachios, cashews, and cardamom. Mangoes, strawberries and other fruits can be added to it as well. 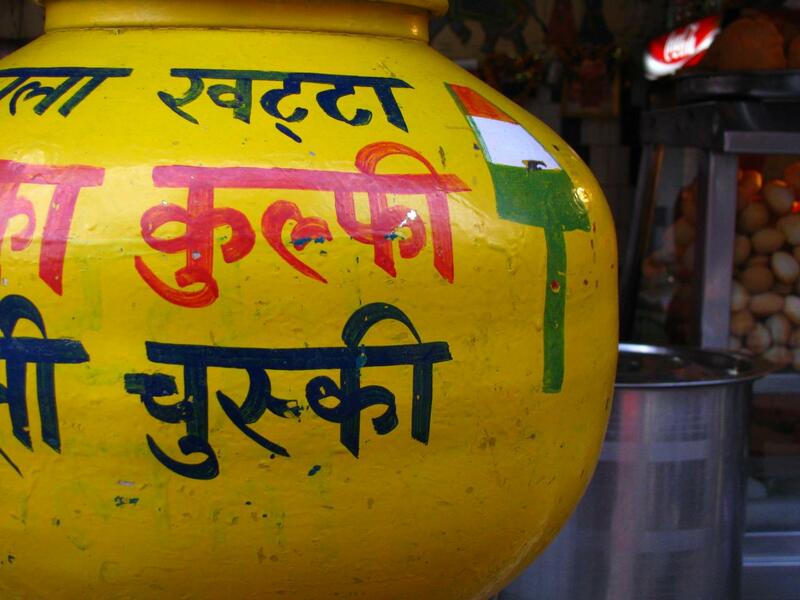 Kulfi is sold by street vendors, and they keep them in a large pot called Matka with ice and salt. 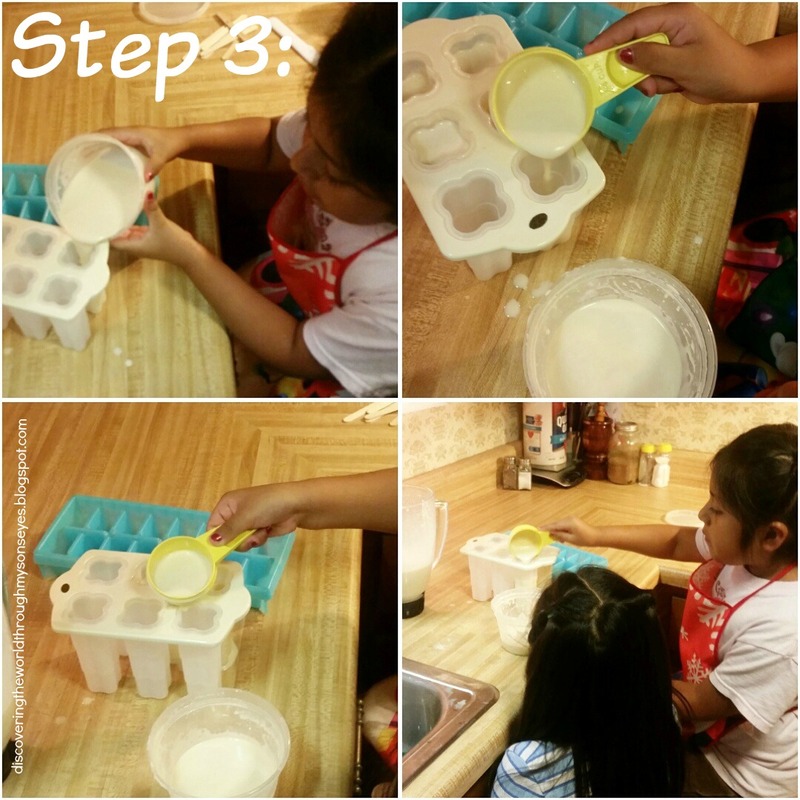 Little one had his Spanish playgroup over so each one had a task on hand to make the kulfi. Now we’re going to share our step by step tutorial on making Kulfi! I was looking for a simple and easy to do recipe for kids, and I found it! Here and here! I have to admit that I had a hard time finding the cardamom spice. It’s not a commonly-used spice here in our neck of the woods (down south in the U.S.A.); and it was pricey! However, I’m so happy that I bought it. Just smelling the spice is heavenly, and I couldn’t wait for us to try it on the kulfi! We gathered all of the ingredients for the Malai Kulfi found here, and followed the instructions. 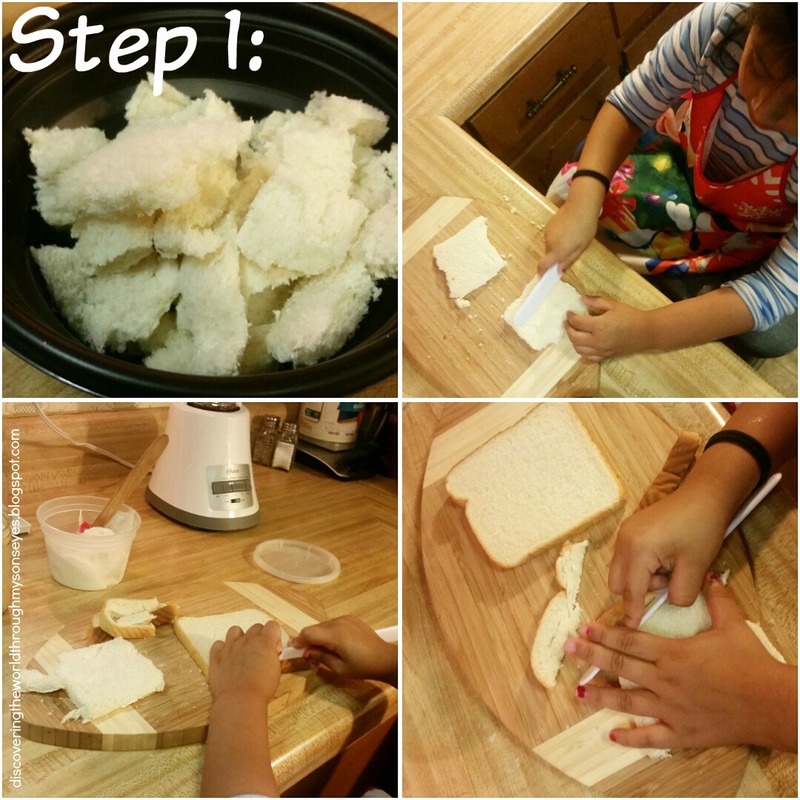 Step 1: I had the littlest one cut the crust off the slices of bread with a plastic knife. She did a splendid job! Step 2: My son poured all of the ingredients in the blender, including the pieces of bread, and a sprinkle of cardamom. Step 3: Little one’s other friend poured the mixture into an ice cream mold, and in some ice cube trays. After the kids finished I put popsicle sticks in the molds, and put everything in the freezer overnight. 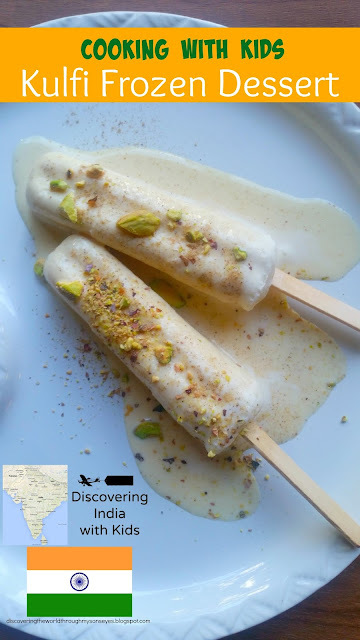 I chopped (actually crushed) the pistachios to garnish the kulfi, and sprinkled the cardamom on it and serve! I must add it’s delicious!!! Let’s discover India through a party! hosted by Multicultural Kid Blogs. 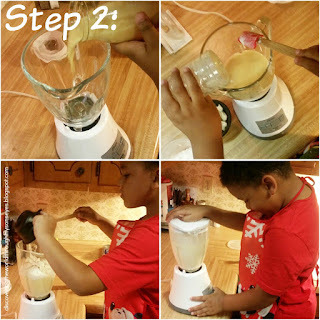 Stay tuned for our upcoming post on cooking with kids with an Indian recipe, and book reviews on India.